Let's ride... on a 250-metre snow-covered hill! 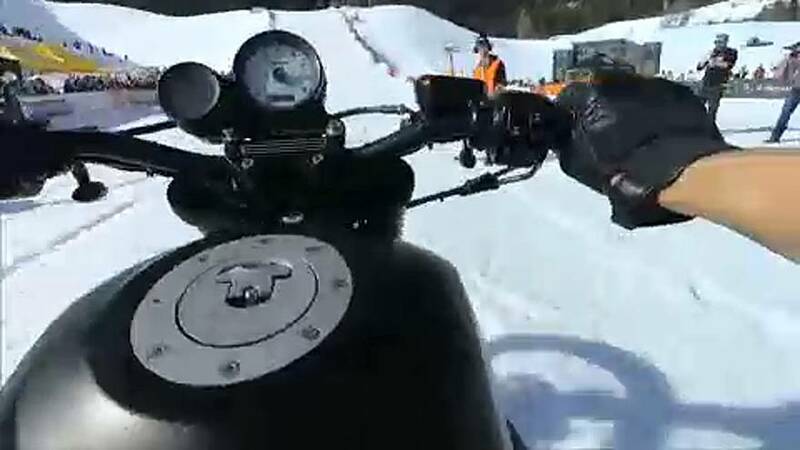 Some 140 Harley-Davidson motorbikes raced on a snowy slope in Ridnaun, Italy at the 7th edition of the "Race & Snow" event. Historically, this event showcases the power and kudos of Harley Davidson machines, but there are also 'Open' and 'All Bike' categories among the five titles on offer in 2019. The winner, an American, set a course record time of 7.14 seconds. American professional hillclimber Austin Teyler, riding a KTM, took the Open category, adding to his three Great American Hillclimb Champion title and two U.S. Unlimited Poags Hole X-Climb crowns.